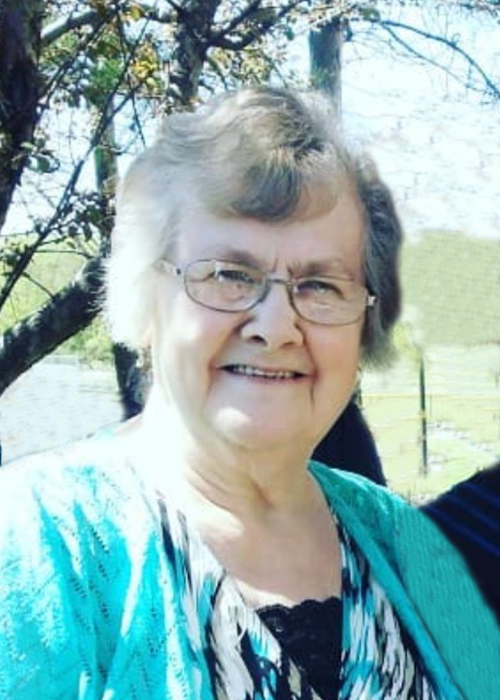 With great sadness we announce the peaceful passing of our mother Laura Reimer, beloved wife of the late Henry Reimer, formerly of Sidney, MB on Monday, April 15th at the Portage and District General Hospital. 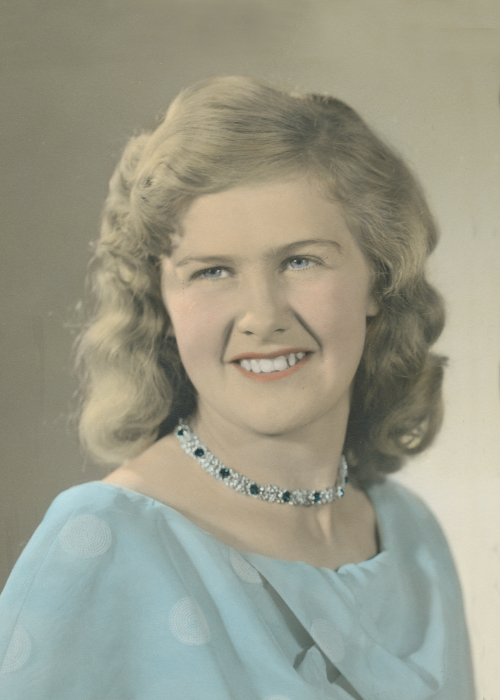 Mom was born to John and Katherine (Tina) Driedger on July 13, 1943 in Neuhorst, MB. In 1948 the family moved to Rosefarm where she was raised and received her education. Her mother, Tina, passed away when she was 12. Mom married the love of her life, Henry Reimer on July 30, 1961 and they were blessed with 4 sons, Donald, Kelvin, Dennis and Randy. Mom and dad began their married lives together working and travelling with the gravel gang and then worked and farmed around the Austin area for several years before settling in 1972 in the Arizona District, south of Austin, where they raised their boys. The family owned and operated the Sidney store from 1984 – 1990 when mom and dad moved to Langenburg, SK to operate the Langenburg Inn for a couple of years before they retired. Mom enjoyed reading, doing jigsaw puzzles, sewing blankets and spending time with her grandchildren. She took great pride in making handmade quilts for her boys and grandchildren and also helped the MCC sew blankets to send to third world countries. She loved family camping in the summer and her sister sleepovers. Left to cherish her memory are her children and their families: son Don and Alison (Jessica, Jennifer, Rebecca and Melissa) from Austin; son Kelvin from Winkler; daughter-in-law Mona (Natasha and Zachary) from Gravelbourg, SK; son Randy and Terri (Spencer and Chandler) from Portage; 7 brothers, 4 sisters, 2 brothers-in-law, 6 sisters-in-law and their families. Mom was predeceased by her husband Henry (1995); son Dennis (2008); mother Tina (1955); parents John (2004) and Elizabeth (1999) Driedger. The family wishes to express their deepest thanks to the Doctors and nurses at the Portage and District General Hospital and the MacGregor Personal Care Home. Funeral service will be held on Tuesday, April 23, 2019 at 2:00 pm at Sommerfeld Mennonite Church, MacGregor, MB, led by Pastors Martin Unrau and Larry Kehler. Viewing will be held prior to service, with reception to follow and burial taking place at Austin Sommerfeld Cemetery. As expressions of sympathy, if friends so wish, donations may be made in Laura’s memory to Central Plains Cancer Services, 318 Saskatchewan Ave. E., Portage la Prairie, MB R1N 0K8. There's still time to send flowers to the Viewing prior to service at the MacGregor Sommerfeld Church at 1:00 PM on April 23, 2019.